Our Premium Quality Lexx Classic Trike brings luxury and comfort as a standard and it has been designed by keeping both parents and children at the center of everything. It includes 360 degree removable armrest/protection bar and 3.1 safety harness to protect your precious child. The padded seat provides comfort and luxury to your child and the removable/adjustable shade canopy to protect them from sun heat. 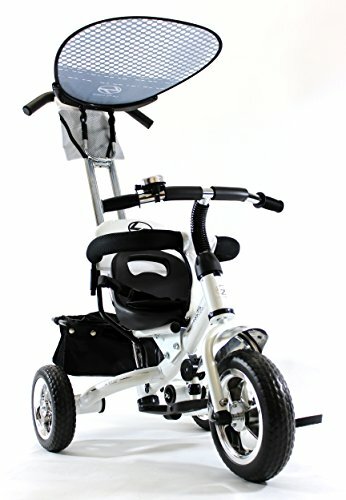 The removable steering handle makes it easy for the parents to steer the trike when out and about. A perfect for gift your little prince or princess. If you have any questions about this product by Lexx Trike, contact us by completing and submitting the form below. If you are looking for a specif part number, please include it with your message.